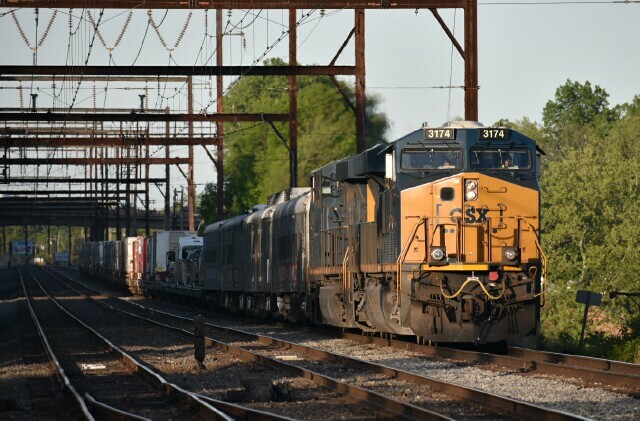 Coming out of the shadows and heading into history, CSX P927 heads south/west on the CSX Trenton Line approaching CP Nesh. 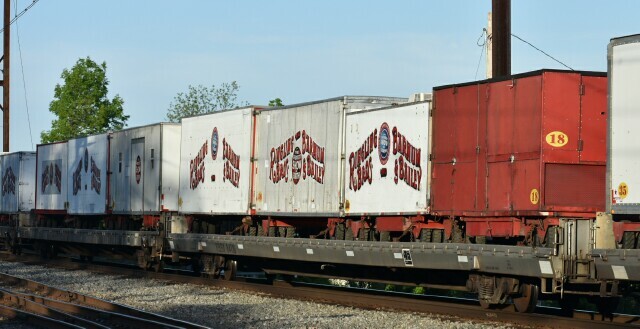 Behind CSX ES44AC-H 3174 and ES40DC 5436 are the remnants of the famous Ringling Brothers and Barnum & Bailey Red Unit Circus Train (RUCT). 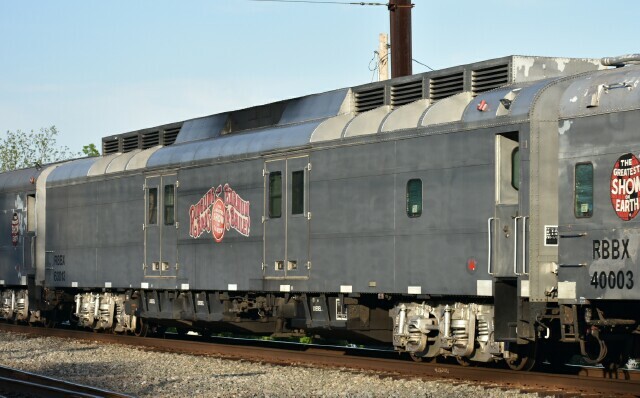 Having finished its last performance in Providence RI on Sunday May 7 2017, the full train was moved to Oak Island Yard in North Jersey where most of its passenger cars were cut away. 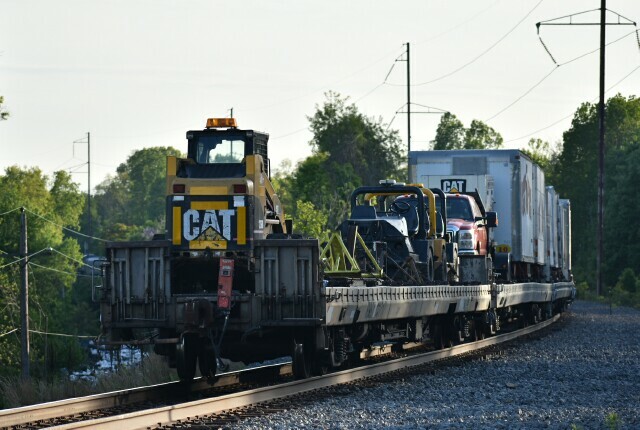 What cars remained continued on to its home in Florida. power generation car 63013. The other cars were pie car (aka the dining car) RBBX 60012 and coach RBBX 42022. 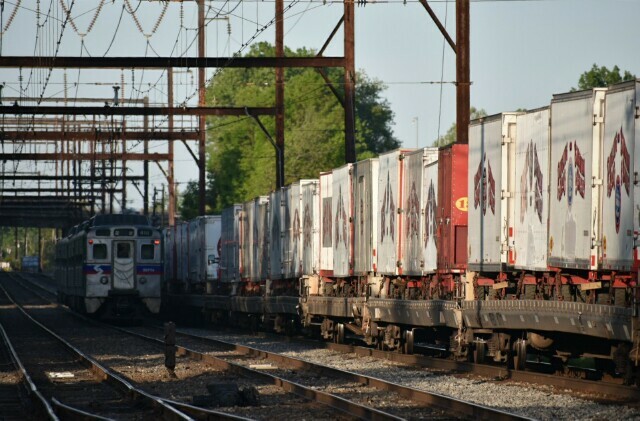 The rest of the train was comprised of flat cars, mostly with circus trailers on them. The last couple flats had a few vehicles on them. And that was that. 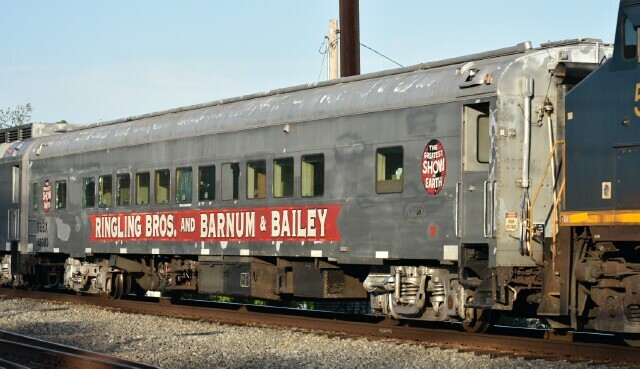 Of course the Blue Unit was in the middle of its final shows on Long Island, so we still had one more chance to see the circus train and say goodbye.